This up coming Sunday, May 7th, join Pack 343 on a family hike at Ringing Rocks County Park in Upper Black Eddy. We will be meeting together at Epworth, departing at 12:30pm. 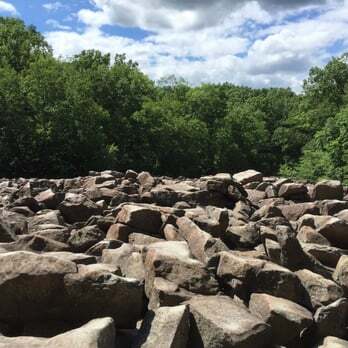 You may join us there and drive down together, or if you prefer you can meet us directly at the parking area at Ringing Rocks (1924 Ringing Rocks Rd, Upper Black Eddy, PA 18972). This event is open to all Scouts in Pack 343, as well as their families and siblings. Please note that the Pack will not be providing snacks or drinks. You are strongly suggested to bring adequate hydration and any snacks you may want to have when we break at the boulder field.